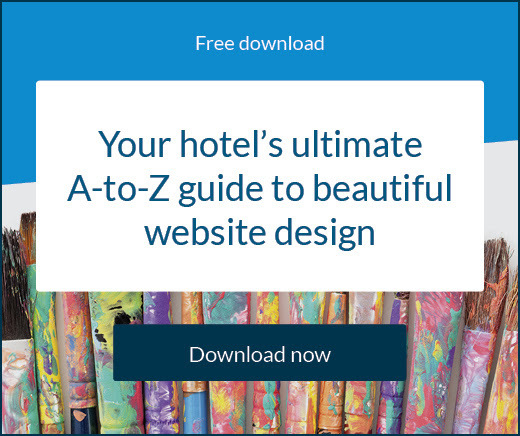 If your hotel is located in or near any sizeable city across the globe, the chances are business travellers will come across your property’s website, online travel agent profile, social media page, and more as they conduct their accommodation research. This accounts for nearly 500 million business trips each year in the USA alone. By 2020, business travel spend will reach US$1.6 trillion. Do you want a share of this lucrative corporate market staying and spending at your hotel? With additional spending on top of reservation revenue and the strong potential for return visits, a business traveller could be a very valuable long-term customer for you. Luckily, this blog will explain everything you need to know when it comes to being well placed to attract business travellers and taking actions to ensure they do choose your hotel when their reservation is finalised. Business travel occurs when a person travels interstate or internationally to represent their place of work. Reasons for trips are often to attend a conference, speak at a summit, discuss deals with partners, inspect a worksite, foster relationships, or to establish new business opportunities. Depending on the size of the company the business traveller will either book their transport and accommodation themselves, usually via online travel agents and hotel/travel websites – and organise their own itinerary – or their company will do so on their behalf through travel agents and global distribution systems. It’s very common for business travellers to travel back to many of the same destinations each year or multiple times during the year. The frequency, duration, and expenditure of these corporate trips – as well as the behaviour displayed by the guest – will be impacted by the particular industry, gender, age, and personal preference of the business traveller. Bleisure travellers are the group who like to extend their business trip to indulge in some leisure time, and are now a prominent target for hoteliers. While the term may have only been born in the last couple of years, the definition certainly isn’t new. Business travellers who add a day or two before/after their trip for leisure purposes are not a fresh market – but they are a growing one that’s here to stay. To put it in perspective, Expedia reports 43% of all business trips, both international and domestic, are extended to include some kind of leisure activity. Additionally, leisure days now tend to outnumber work days on the average business trip. The most popular bleisure activities include sightseeing, trying local cuisine, seeing culture and art. Often a bleisure trip presents itself as an opportunity for the business traveller to take a partner or family member with them, so it’s becoming a more sought-after experience. Workventure travellers are generally more spontaneous and savvy than bleisure travellers, usually content to organise their own trip and do things outside the box. These are the types of business travellers who will make a spur of the moment decision to stay an extra weekend after a conference, forego flying to commence their trip earlier and make it a road trip, spend money trying new things, or take another person along to make the most of the time in an exotic location. More informed – They’re better at using technology, and much more likely to seek out knowledge about technology. Better at finding travel deals – They’re more likely to do research to make the most of their trip. More likely to make bookings after they arrive – They like to keep options open in regards to what kind of adventure or extra activity they embark on. What do business travellers look like around the world? The first step in acquiring more business and corporate bookings is to know your market. Only once you have a full understanding of their behaviour and preferences can you begin developing strategies to attract them. Business travel in Asia has grown so much that China is now the largest corporate travel market in the world, expected to be worth $434 billion by 2020. A large number of Asian business travellers are young, digitally-savvy millennials, particularly in southeast Asia where 69% fall into this category. With this youth comes a desire to travel with more autonomy and seek richer experiences while travelling for business. Findings from this study revealed Asian business travellers, excluding the Japanese market, are twice as likely to extend their stay through a weekend as their European counterparts. Drilling down reveals senior management is about 20% more likely to do this than entry-level workers. The majority view travel as a perk of their job and more than two-thirds have the freedom to choose their own airline and hotel (from a predetermined list). However, there are times when this exuberances leads to a breach of travel policies, such as booking a more expensive hotel than their company dictates. With greater freedom and flexibility, hotels and travel companies are now having to engage Asian business travellers directly, rather than rely on traditional corporate booking functions. Because Asian business travellers are on the whole so young, they’re digital natives who have grown up with smartphones and the prevalence of social media. They utilise these at every stage of the booking journey; to research and plan, book and organise accommodation and transport, share and communicate their journey, as well as review their experience post-trip. When it comes to the travel experience, Asian business travellers are no different to the general umbrella group they belong to – for them, convenience is king. This is another reason some resort to breaking company policy. With the sometimes disjointed experience a business trip can bring, Asian business travellers are looking for hassle-free solutions wherever they can. Singaporean business travellers – Singaporeans have a strong desire for comfort, but are unwilling to pay for it themselves, putting more responsibility on their company than other nations. Indian business travellers – Indian business travellers are one of the most enthusiastic groups when it comes to digital processes. They’re quite happy to use digital avenues for booking flights and hotels, including mobile. Chinese business travellers – Chinese business travellers place a high focus on receiving great service and enjoy staying as prestigious locations. They are constantly worried about upkeeping the company images and making sure they encounter high quality service and guests. Indonesian business travellers – Indonesians are one of the most optimistic markets in Asia, with more than 75% viewing business travel as a perk of their job. They’re also very family oriented, being the most likely to bring a family member with them when they travel. Japanese business travellers – The Japanese business traveller is the least likely to breach company travel policy and are also not inclined to mix business with leisure. To them, work is work, and a personal life is not to be a part of it. Formerly the world’s largest business travel market, US companies have spent over $424 billion annually on business travel since 2016. Domestic business travellers spend an average of $520 on each trip, the largest proportion of which is on transportation at $180. For a US business traveller, the average household income is about $82,000 and more than 60% are male. The US market is projected to grow slightly below the global average over the next five years at 3.9 percent; by 2022 the number of domestic business trips is expected to hit 500 million. A study of North American business travellers found many of them are challenged by the amount of time they are forced to spend on the road, with 61% listing time in transit as one of their top five pain points. This is compounded when 79% (88% of millennials) admit their business travel experience is impactful on their overall job satisfaction. Furthermore, 84% say their travel experience affects business results in some capacity. US business travellers have some specific traits when it comes to technology. Almost 80% prefer using self-service technology to manage their travel. Perhaps in conjunction with this, more than 75% of US business travellers want greater cross-device integration in their travel. The vast majority are also willing to share personal information with travel providers if it means they will receive a more personalised experience. North Americans are also more likely to use travel-related apps than Europeans and are happy to use mobile payments or e-wallets. Mobile technology has in fact been found to be a top technical priority for corporate travel programs in the US. US business travellers tend to pay a little more heed to company policies than other nations, and are more aware of them, perhaps because they’re generally more strict. Just under 80% of survey respondents stated they were extremely familiar with their company’s travel policy. More than three quarters admitted their policies were quite strict and only 40% said they had ever violated them. The reasons for diverging were often quite universal, however. They included being closer to their meeting location, staying in a safer locale, or actually saving their company money. Corporate travel growth in the UK is quite modest compared to the rest of the world. In fact it seems to be on the wane. The number of business trips taken by UK residents rose by only 7,000 in 2016, or 0.1%. In 2017, overseas business trips by UK residents actually dropped 5% compared to 2016. Germany is the most popular destination for UK business travellers but they spend the most in the USA, perhaps driven by the fact they also stay longer when travelling to the USA. When it comes to behaviour, the majority of UK business travellers admit to disregarding their company policy; 61% say they don’t always follow it if it doesn’t suit them. Just over 50% research travel options using their company online booking tool. At the same time, the majority also say they are conscious of spending the company’s money and try to save where they can. Interestingly, only a third believe their company always has safety and wellbeing in mind and almost 95% would diverge from policy if they thought it would impact their personal health. Between male and female business travellers in the UK, it seems they hold many of the same sentiments. According to a report by FCM Travel Solutions, men and women both list absence from family or loved ones as their top criticism of travelling for business. The specific reasons for their travel did reveal some discrepancies; men more commonly travel to meet clients (22%) than women (12%), whose main reason to take a corporate trip is for internal meetings. Female travellers in the UK also have reason to be bemused when it comes to their company’s policy. Only 18% of companies were seen to address the specific safety needs of their female employees. Other surveys have surprisingly found that UK business travellers are the least likely to describe themselves as ‘work hard/play hard’ – only 27% chose this response, compared to 44.9% of Germans and 38.6% of Italians. There are some significant impacts if business guests do decide to include leisure in their trip. Those who extend their trip spend double that of the travellers who go home immediately after an event. In relation to domestic vs. international business travel, the requirement to get pre-trip approval jumps from 48% (domestic) to 68% (international) for UK business travellers, most commonly via a formal paper or single-approver process. A healthy 39% are not always required to use their company’s online booking tool (OBT). In a 2016 survey, 2.1 million Australian travellers said their last domestic flight was for business purposes, 28% of these landed in Sydney’s home state of New South Wales. Australia is a large country, so even domestic business travel will usually require flights. At the height of the mining boom in 2010, over 12% of the country’s population was flying for business purposes. In 2017 that number dropped to 11%. Behind mining, other demanding industries include public administration and defence, finance, and property and business services. At the same time, the most popular international destinations for Australian business travellers were Singapore, Auckland, and Hong Kong. Amidst a tech boom, San Francisco became the most popular US destination for Australian corporates, overtaking New York City. More recent data shows a continued growth in Australia’s corporate travel sector. Year-on-year to March 2018, Australian business travellers’ expenditure increased 6% to $16 billion. Airbnb is now providing stiff competition for hotels in this market, with employees from over 36,000 companies signed up to book accommodation through Airbnb for Work. When it comes to company policy, 69% of Australian business travellers said their company had a travel policy and 51% report the ability to be flexible with their travel and personal lives always or most of the time. This is an important figure given Australians are more likely to miss home, family, pets and home cooking, than those from other parts of the world, with 44% saying they return home relieved. The majority of Australian workers know about upcoming business trips well in advance, often more than a month, but most will wait a while before booking. 57% book their trip within one month of their trip while 29% even wait until within two weeks. It seems Australians are quite skeptical when it comes to technology. Only 42% of Australian business travellers believe artificial intelligence (AI) will improve their travel experience, while 40% stated they believe AI will bring the end to humankind. Do you have what it takes to be a business travel hotel? There are a number of factors that will contribute to your hotel’s ability to cater for business travellers. The fact is, it won’t work for everyone. Some properties simply aren’t set up to accommodate business travellers. Maybe the location is not ideal, or there is a lack of appropriate facilities, or the property is too small. 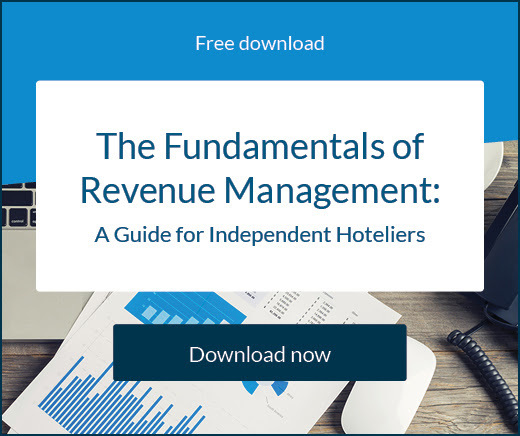 However, if you’re a hotelier who thinks you could cash in on the lucrative corporate market, here’s everything you’re going to need to offer your professional guests to ensure you attract and delight them. Harrison Soprenic works with lots of hotels on helping them tailor their offering to corporate travellers. Watch the 2-minute video to get his advice. Business travellers are an increasingly diverse group and within this umbrella group there will be many different demographics that have varying requirements. For instance, in the future it’s likely that China will encompass the biggest proportion of business travel spend. In this case personalising service to suit Chinese business travellers will be very important. Business travellers will commonly visit the same destinations each year, or even multiple times in a year, so they appreciate a flexible loyalty program that allows them to take advantage of this. Business travellers are often short on time and will look for the most convenient and efficient options. This means they’ll search for easy transport options, quick check-in/out, hotels that have adequate work spaces and WiFi, the convenience of a hotel gym, and healthy meals that can can be enjoyed on the run. Customisation and personalisation is very important for a business traveller. They appreciate having their affairs in order meaning pre-stay communication, mobile check-in and room entry options, simple expense reporting, and proactive and responsive staff members are vital considerations. Business travellers expect high quality technology to be in place, both to help them book their trips and to utilise during their stay. People love mobile apps in general, and business travellers find them particularly useful to organise their trip, check details, or find help. An obvious, yet important, fact to remember about business travellers is that they’re not on a holiday. The implication of this is that they want to stick to their everyday routine, while being extremely busy with the work purposes of their trip. This means they place a high level of importance in maintaining their normal diet, exercise, and off-work habits. To summarise, business travellers need to manage quick trips and busy itineraries simply and efficiently, while enjoying the normal benefits they get at home. What do business travellers look for in a hotel? When it comes to choosing the right hotel for their trip, business travellers usually have a specific set of criteria in mind. If your property ticks all the relevant boxes, it will be the logical choice. Let’s look at what business travellers look for in a hotel. From here you can see that your hotel needs to offer complimentary WiFi, healthy food options, and exercise facilities. Add a smart and helpful loyalty scheme and you’ve covered four business traveller essentials. Additional features your hotel should have to increase your chances of capturing a booking include shuttle services for easy transport, accelerated check-in/out via mobile; office and workspace essentials like desks, stationary, and printers; an adequate number of power outlets, enough space and privacy, and access to leisure activities if they choose to extend their stay. Beyond this, larger corporate groups may want to book your hotel if you have the facilities to host and cater for meetings or events. This is a great opportunity to secure a long-term account with companies and create customised loyalty programs, ensuring you have plenty of repeat business and revenue each year. How do you bring this all together to create an amazing experience for business travellers? You need to streamline the entire journey and delight your guests at every turn. Once a customer has made the decision to book with you, your focus must shift immediately to make sure they are taken care of pre-arrival and at check-in. People anticipate their trip very strongly in the weeks and days prior to it so communication will help get them excited and ease any concerns they may have. App and email notifications make this simple and allow you to share relevant information and inspiration. When it comes to check-in, a separate line for mobile check-in will facilitate a smoother process for all guests and a free meal and/or drink voucher will put a smile on their face as they got their room. To make things even more convenient, consider offering keyless room entry. During the stay is obviously when you want to make an impression your business guest won’t forget. Everything starts with your hotel staff. Staff must be friendly, proactive, responsive, and resourceful if all the needs of a guest are to be met in a timely and satisfactory manner. No problem should be looked at as too hard or too large and hassle-free solutions are a priority. The relationship between a business traveller and their technology is extremely important, as is access to an adequate workspace. There needs to be an environment of connectivity between the guest and the hotel technology so they can use their own devices in conjunction with the TV, lighting, temperature control, and other features they find in their room. Comfortable furniture and appropriate lighting is also essential for a guest who intends to work while in their room or in the common spaces of the hotel. With such a busy schedule, corporate guests may forget a thing or two so it’s prudent to provide complimentary toiletries and accessories such as hair dryers or clothes irons, etc. The same principle applies at check-out as check-in. Make the process as simple as possible and if you send your guests away with the encouragement and expectation they’ll come back, they probably will. Just as importantly, if you give your corporate guests a great experience it could translate into some powerful positive online reviews. Running any successful hotel is a bit of a cycle. The more guests you can attract, the more guests you can deliver a great experience to. The more guests you give a great experience to, the more repeat bookings and increased reputation you get. The more your reputation increases, the more guests you can attract. Customer retention and repeat bookings are extremely important in maintaining a reputation as a great corporate hotel. If you can get the same people booking with you time after time you can lay claim to that in your marketing. People don’t go anywhere else because you are the best. It’s also more likely that regular customers will recommend you and become free ambassadors, so the more you have the better. First things first though, you have to get them through the door. Putting your hotel in front of as many eyes as possible is a good initial step. A global distribution system (GDS) is an extremely popular method of booking for corporate companies and travellers. The ability to link with hotels, flights, and car rentals in one simple interface makes it the perfect platform for that neverending need of convenience. Properties can offer guests better value by combining accommodation, transport, and other travel plans into one rate. This is always attractive to business travellers. Tracking the booking habits of business travellers is an obvious way for you to better direct your efforts to engaging with them. Trends show that mobile booking is growing in a big way so it makes sense for you to simplify and also speed up mobile booking on your website. Business travellers like to be organised and have hassle-free accommodation arrangements and many of them also book quite close to their trip, meaning they’ll be on the lookout for easy last minute deals. Understanding how business travellers make their booking decision is extremely useful for your hotel. Their preferences allow you to place a measuring stick to your property and see which boxes are ticked and which need work. Perhaps surprisingly, proximity of their hotel to their meeting far outweighs their desire to travel to and from the airport easily. The need for convenience is filtered throughout almost every statistic when it comes to business travellers and it’s on this issue hotels need to work overtime. It’s important to remember you don’t need to be a massive brand hotel to secure corporate bookings. If you can offer everything a business traveller needs, then go for it. Even if you’re not a huge hotel, don’t restrict your focus to individual travellers. It will be much more lucrative for you to open and maintain a relationship with an entire company. Keeping a company account on the books will keep your revenue strong, and increase the likelihood of capturing group bookings. You need to identify your market and understand what groups your property will be able to accommodate. Only target who you have the space and time for. Once you know this, you can create fun and attractive packages for groups around team building, meetings, or conferences. Keeping an eye on your leading competition will enable you to ask certain questions about what works for them and why. 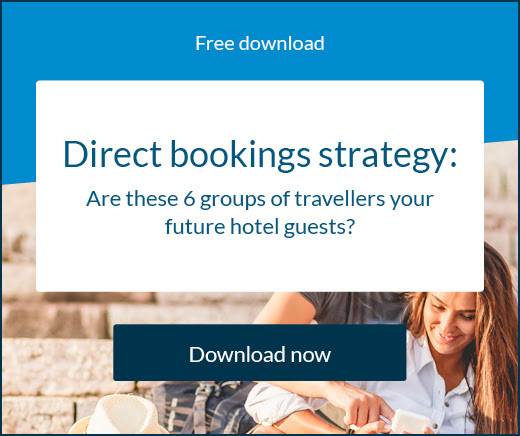 Answering these will in turn let you develop strategies to convert more group bookings. If you want group bookings, you have to establish a clear brand presence in this area. Highlight the most relevant features on your website including photographs and outline the most important details. For example, knowing indoor and outdoor seating capacity will be important to groups who are looking at your hotel as a potential booking, as will free WiFi and other resources for all guests. To get a head start, you could make a habit of attending trade shows and travel and tourism events, where you’ll get the chance to meet directly with many key decision makers about the benefits of your hotel the next time they need to organise a business trip. There’s no longer just one type of business traveller – Make sure you’re accounting for “bleisure” and “workventure” travellers, too! Know your target market – A business traveller will book, spend and stay differently depending on where they come from. Give your guests what they want – Business travellers look for hotels with WiFi, healthy food options, and exercise facilities. Convenience is key – Make sure corporate guests are taken care of pre-arrival and at check-in. They want to focus on their work, not travel logistics. Help business travellers find you – Connect to a Global Distribution System (GDS) to tap into the corporate market.